The thought of adopting a baby can evoke a range of responses across our modern society. While a lot of effort has been put into dispelling the high level of misinformation in our industry, myths and misnomers still continue to harm the progress of delivering more children in need into the arms of more loving families. The adoption process is constantly improving, yet a significant amount of roadblocks and regulations can serve to slow down outcome and create undue stress for everyone involved. A is 4 Adoption is here to serve as your go-to adoption center for the best services in the country. Unlike any adoption agency in California, our center focuses on personalized service to deliver faster, better results for everyone involved to create the best outcome for the adopted child at the center of it all. While our adoption services aim to provide the best outcomes, the high level of misinformation in society today only serves to hinder our progress. 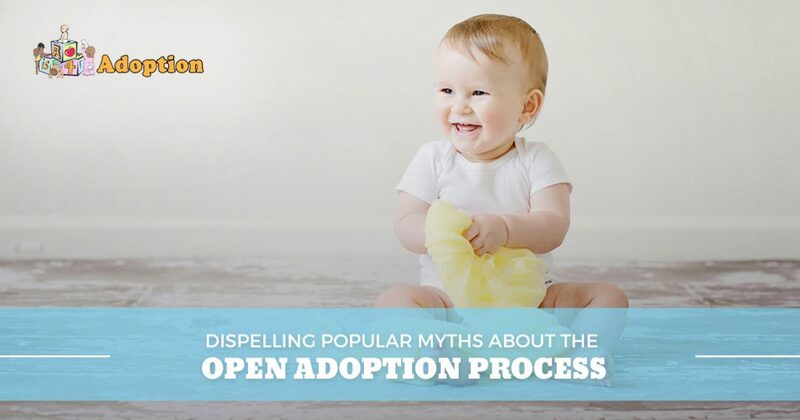 Today, we’ll highlight a few myths about adoption that negatively impact the public’s perception of this beneficial process. If you are looking for resources as an adoptive parent or comprehensive birth mother help, be sure to contact our center today to learn more. While the stereotype of an irresponsible teen mother seeking adoption services is very common across the globe, the truth of this stereotype would surprise you. Across the board, birth mothers tend to actually be in their 20s and 30s. Additionally, a large number of these women already have at least one child and are fully aware of the full scope of time, energy, and money needed to raise one. While domestic infant adoption can be ideal for teens in need, a common scenario we see stems from single mothers who are aware that they will not have the resources needed to raise another child. Putting your child up for adoption is not an easy choice, but our Costa Mesa adoption center can help you through each step to provide a quality experience. Years ago, closed adoptions were commonplace and relied on secrecy to arrange adoption services. Today, open adoption practices have helped to open the door for openness and honesty when it comes to telling your adopted child where he or she came from. In fact, many birth mothers choose this adoption option with the goal of establishing a positive level of contact between both families. Every situation is different, and the outcome for your adoption will depend on various factors. When everything comes together correctly, birth mothers can expect to have a role in their child’s life. The level of communication will depend on your adoption agreement, but it’s important to remember that birth mothers do not need to be completely cut out of the loop. The truth is that there are a lot of children in need across the globe who have disabilities or special needs. While there is always a demand for adoptive parents, it’s important to remember that healthy newborns are coming into this world every day that need adoptive support to thrive. This myth can have damaging effects on newborns in need, as prospective parents may become discouraged and quit before doing their research. Statistical research has proven that a majority of infants are rated in at least “very good health”. In the open adoption world, you can also request family medical history records to prepare you for any potential issues later in life. One of the scariest myths for many adoptive families is the idea that the biological mother may have a change of heart and work to recover her newborn. While it may sound cold and cruel, it’s important to remember that adoption is a serious choice that has long-term ramifications. Once the revocation period has passed for being able to back out of an adoption contract (this time frame varies from state to state), all processes are final and the baby is now officially your child. In nearly all cases, birth parents overcome the struggle of giving up a piece of them by understanding the overall benefits that can be enjoyed by the child. While open adoption may create anxiety over a mother seeking to reclaim her child, this occurrence happens far less often than people think. Adopting a baby can prove to be one of the most rewarding and enjoyable decisions you can make. As a birth mother, putting your child up for adoption can also provide a lifetime of serenity in knowing that you did everything to provide the best for your little one. The adoption industry is continually plagued by myths and misinformation, which is why it’s important to do your research before making any decisions. A is 4 Adoption is here to help you through every stage of the adoption process, delivering quality services to help produce the best possible outcome for everyone involved. We are not a California adoption agency; our adoption center is a family owned organization that places a premium emphasis on helping clients to avoid the stress and anxiety involved with adoption. From comprehensive birth mother help to supportive adoptive parent services, our team is here to help you. Contact us today to learn more about our philosophy and adoption program.